Yet, while Warren was extolling the virtues of accountability, her own lack of accountability was glaringly on display in the days leading up to her speech — namely with her refusal to meet with Native Americans over her fraudulent claims of American Indian heritage. Warren’s attendance at the sit-down had been requested by a contingent of Native Americans attending the DNC, all of whom were hoping to receive an explanation as to why Warren had long misrepresented herself as an American Indian minority. Warren has been able to parlay her now debunked claim of Cherokee heritage into a distinguished academic law career, current position as a Massachusetts Democratic senatorial candidate, and rising stardom in the Democratic Party. For real Native Americans, however, like those convention attendees in Charlotte, Warren’s bogus claim to Cherokee lineage is a slap in the face to those without her wealth, power and privilege. 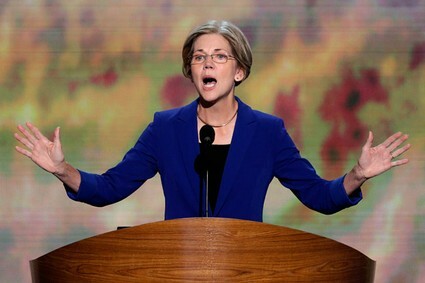 Warren’s exasperation stems from her disingenuous, insincere and at times, highly comical attempts to quell the controversy of her heritage, which first erupted in May when it was discovered that she had long been using unsubstantiated claims of Cherokee lineage to enhance her career prospects. From there, Warren then reported herself as Native American on job applications for positions she garnered at both the University of Pennsylvania and Harvard University, lies which both institutions claim played no role in their hiring of Warren. Despite those claims, both institutions, which were then under fire for a lack of diversity among its faculty members, were certainly vocal in promoting Warren as a Native American hire, with Harvard Law School proclaiming her to be its first Native American hire. Warren, however, has said until recently she knew nothing about Harvard Law boasting about her alleged Indian heritage, a case of amnesia which may be catching as Harvard Law School, which lists one Native American faculty member, has refused to say whether that person refers to Elizabeth Warren. Nevertheless, Warren has maintained that listing herself as a Native American in the AALS directory had less to do with her climbing the law school ladder through the misuse and abuse of affirmative action policies and more to do with her needing an opportunity to become more in touch with her Cherokee heritage. Warren admitted, however, that her task of finding someone else “like me” never materialized, a failure which may have stemmed in part from the fact that there aren’t too many Native Americans who can identify with the bitter discrimination and maltreatment that a white Anglo-Saxon woman faces. Another reason why Warren failed to find solace and enrichment with other Native Americans may have come from her unwillingness to participate in any Native American Bar Association or similar campus group in order to meet fellow American Indian faculty and students. Probably to avoid outing herself as an affirmative action fraud and exploiter due to her obvious European appearance and lack of credible background story. Shelly Lowe, executive director of Harvard University’s Native American Program (HUNAP), said Warren had never to her knowledge participated in the program’s events while she was a professor at Harvard. In any event, Elizabeth’s nine-year journey to find someone else “like her” ended in 1995 when she discontinued her “minority” listing in the AALS professional directory, coincidentally at the same time she received tenure at Harvard. Unfortunately for Warren, the controversy over her Cherokee ancestry arises from the fact that her claim is not based on any type of genealogical documentation. Rather, its foundation rests instead on Warren family “lore,” stories handed down which confirmed to the blonde, blue-eyed Elizabeth that she indeed possessed substantial Native American blood. While that account was apparently deemed by the former Harvard Professor to be acceptable proof of her American Indian bona fides, Warren’s exercise in racial stereotyping did little to assuage her critics. That criticism forced the Warren campaign to uncover a genealogist report which purportedly found Warren’s great-great-great grandmother, Sarah Smith Crawford, to be Cherokee, a claim that was later debunked by an 1860 Census, which listed Sarah Smith Crawford as “white,” a combination Swedish, English and German. Nevertheless, Warren has tenaciously clung to that genealogist report as concrete evidence that she is indeed 1/32 Cherokee and thus a “woman of color.” Moreover, Warren has chalked up the efforts of those who question her links to American Indian status as being nothing more than agents of her Republican opponent, Scott Brown. 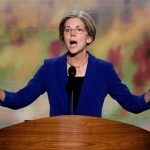 Of course, Warren’s ancestral claims, bogus or not, have done little to hurt her standing in the eyes of the Democratic Party, which sees her as a rising star and, thus, awarded her with the prime-time slot to introduce Bill Clinton as the keynote speaker at the Democratic National Convention. In effect, the Democrats have doubled down on support for a deceitful charlatan who makes a mockery of the educational quota system Democrats claim to stand for. A similar such slot was given to Barack Obama at the 2004 Democratic Convention, one which introduced him to a national audience, and which set the stage for his 2008 presidential run. Of course, given her ongoing efforts to make coherent sense of her own genealogical background, Elizabeth Warren may need more than one speech to get her story straight in order to give a factual introduction of herself to the nation.